Previously, we looked at 2011 top 300 world’s largest pensions fund where Malaysian funds, namely Employees Provident Fund at position number 9. The different between sovereign and non-sovereign funds are the fund ownership. The table below shows top 26 world’s largest sovereign pension funds. Of course ours logically should be bigger than Singopore’s..
Our work force more than 5x than them, with almost the same policy of contribution there is nothing to be suprised..isnt it? Unless there is ratios against GDP etc..
What is the based currency? Based on the respective country? ChampDog, the based currency is US dollar ($). The most important things to fund management is the Risk Adjusted Return. 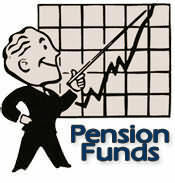 that means whether our EPF can return the optimum return in term of the level of risk of investment EPF invested. These few years EPF have returned us some good investment return. I hope they can continue to these performance.